Starting October 1 is the annual Halloween Haunts. That's where HWA members post cool stuff on the HWA blog about horror and Halloween during the month of October. There are even chances to win prizes. And it's all free. Check it out often. My posting is scheduled for October 10th. There's a banner on this very page that will take you to the HWA blog. There was real fear in my eyes at the hotel I work at yesterday. Something came through the door that scared the bejeebers out of me. I guess I should mention the door was open. And in walked the scariest thing on earth. There was a skunk inside my lobby. You can chase a fox or a raccoon out the door. but skunk? No way. I've been sprayed by a skunk. It's no laughing matter. Fortunately, it went back outside and left. I closed the door, pronto. The only wild animal, at least North American wild animal, that I fear is the skunk. Bears, wolves, snakes don't even concern me. But send a skunk after me and I am instantly in terror mode. Every year about this time the tree leaves turn color. Around here that's yellows and a touch of orange as the primary tree that drops its leaves is aspen. And people drive around to look at them--often coming from far away. Trust me, they look exactly the same as they do every year. People in many creative vocations often complain about being pigeonholed or typecast I recently learned I'm no exception. I was talking to another writer about an anthology that came out a while back. Frankly, I didn't think it was very good. Then I mentioned I could've come up with something far better than a lot of the stories in the book, had I known about it. That brought a surprised reaction--very surprised. I was informed I was never considered as a contributor because I only do weird westerns. I was somewhat dumbfounded. I guess that's become my label. I'm the weird western guy. Ironically, most weird western editors hate me because they don't think my work is dark enough. I counted up my cumulative body of work. 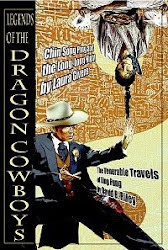 Only 20% of my published stories are weird westerns. I've written steampunk. I've written all sorts of horror. And half of my stories are science fiction. But I am perceived as the weird western guy. I guess my other material wasn't as memorable as I'd hoped. I am so sick of the horrible TV ads relentlessly attacking everyone running for office. But not for the reason one might think. Most of these ads are funded by outside interests flooding million of dollars to try and manipulate the election.No, it's not that they're vicious and dishonest. It's every single one of them says "for Colorado." Too extreme for Colorado. Too stupid for Colorado. Not right for Colorado. Hell, we know what state we live in. We don't really need to be told we live in Colorado. We already know that. But they never end with too crooked or too ugly. Nope, it's ALWAYS for Colorado. Frankly, if they took half of the words out of these ads they'd be more effective, but they're mass produced out of some hate mill ad agency somewhere. I think it's the people cranking out these ads who need to be reminded what state they're going to. 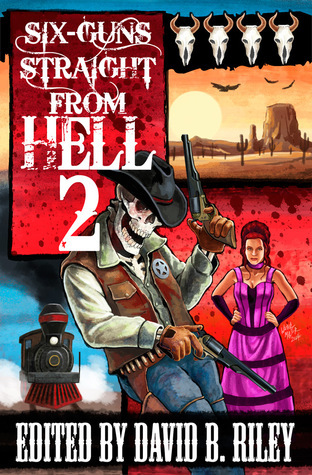 There's a special offer available for the ebook version of Six Guns Straight From Hell 2. Now through October 15th you can get 25% off. 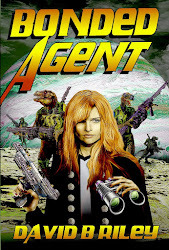 Just go to Smashwords.com and use coupon code HP53C at checkout. When you write, or more specifically when you publish stuff, these people called reviewers turn up and tell you what they think of it. The knowledge and ability of reviewers varies wildly, but in the anything goes blogs e-sites world, most of the reviews are written by people who haven't a clue what they're talking about. Gone are the professional reviewers in newspapers. Now we have Moe, who puts down "It was really bad." Followed by Larry who puts down "It was good." Do either of these provide anything particularly useful? Not really. I used to get ripped by some guy who I once rejected for a project. He seemed to make it his life mission to bash me at every opportunity--always anonymously. But always with the same telltale poor spelling that gave him away anyway. Alas, I haven't heard from him in a while. A good review should contain objective information where a potential reader could decide whether to purchase or not purchase a book they might be interested in. "It was bad" is a little lacking in detail for that. The blog type of review sites seem overwhelmed by the number of books out there. The paid professional reviewers seem to have disappeared. No wonder the publishing world is in so much turmoil, eh. As anyone who frequents this blog knows by now, I try to keep it fairly current. My goal is to post at least twice a week. I usually manage more than that. It amazes me at how many blogs and websites have not been updated in years. One writer I know has not updated his site at all in over two years. Frankly, it's not that hard. The point in having a site is to communicate with people. Just ignoring your site sort of defeats that goal me thinks. Now, I seem to have a steady stream of readers for this blog. I don't know who most of them are, but there is a fairly consistent pattern of views, coupled with the occasional spike. If I didn't update frequently, I believe the views would fall off. Of course, this blog is not a true writers blog. I mean, it is written, but I'm just as likely to rattle on about garbage or fortune cookies as writing. It's just as well. Writing isn't really that exciting. I just think people should keep up their sites or shut them down if they're not going to. I made an interesting observation while having lunch. People weren't taking their fortune cookies. Most American Chinese restaurants give you a fortune cookie at the conclusion of your meal. I noticed about half the customers weren't taking them, but left them on the table. I don't understand this for two reasons. First, I rather like them and don't understand why folks would pass on eating them. And, by walking away, they are choosing to remain ignorant of their fortune. I am always reminded of the fellow in Oakland who read his fortune cookie that said "You're going to die soon." He stood up, went outside, then was run over by a taxi. He died on the way to the hospital. I was skeptical of this story, which surfaced way back when I lived in the area. Thinking it an urban myth, I later learned it was true. 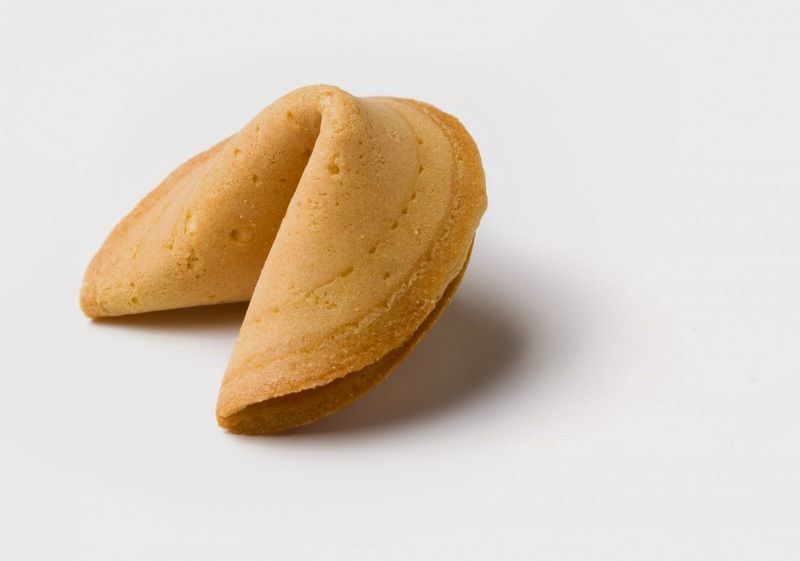 It was April first, April Fools Day, and the restaurant had obtained some "joke" fortune cookies from some place. Telling folks they're about to die seems a bit tasteless, but that was apparently the situation. The cookie was right in this case. The lingering, unanswered question is: Does the restaurant keep the orphaned cookies and give them back out or throw them away? They are individually wrapped. I used to really like clip art. I once had many books packed full of the stuff. Then the digital revolution arrived. In a very short time most clip art became useless. What worked with a copy machine for a newsletter didn't work so good in the digital publishing world. The biggest problem is most of it is so low resolution it's nearly useless. 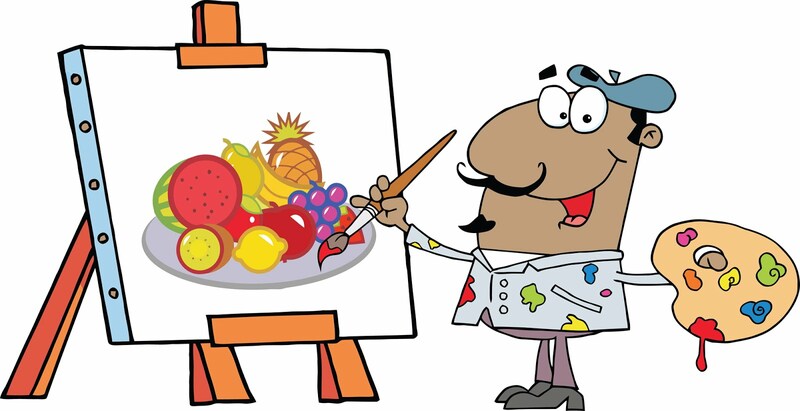 While some clip art nowadays is high resolution, most of it is not. Did I mention most of it looks like crap? So, I'm not that in to clip art anymore. This is a shame as I want a specific type of art and I cannot find it. I'll keep looking, but I am not at all optimistic I can find what I want. I'm not really that fond of winter, so the recent premature snow had me somewhat bummed. But there is one thing about winter I've always enjoyed. I like driving with gloves on. I can't say why--it's certainly more than just keeping my hands warm. You can grip the wheel and it's just better. So, yesterday I put on my gloves for the first time since last winter and went outside to my car. It wasn't really that cold. The cold front had lasted about an hour and was already gone. In fact, it was rather nice outside. So, I decided to drive with gloves on anyway, but it wasn't right. It wasn't right at all. Yep, it's snowing in parts of Colorado. It's only September. Heck we hardly had much of a summer. Now it's snowing already. Of course, it'll melt off as it's too early. but I still am in a state of disbelief. Just yesterday I was having a discussion with somebody about whether steampunk is fading or not. Events come and go, so it's not a simple conclusion. Then, today, I just learned the Steampunk With a Twist Con in Grand Junction later this month is "postponed" until next March. Frankly, they might as well have cancelled it altogether. There had been signs it was in financial trouble, so this was not really a surprise. Now, no one is going to plunk down money for tickets. To do so would be like throwing it down the proverbial rat hole. Likewise, who's really going to risk money on a dealer table? And, I fear those suckers who already paid are never going to see their ticket money again. Then there are the participants. Are we likely to waste our time for a second round in March? I seriously doubt I will. This is entirely my opinion. I don't think the organizers really knew what they were doing. It's also possible Grand Junction simply lacks the population to support such a con. Regardless, I don't think it was well promoted. I've said this before and I'll say it again: Simply posting something on Facebook does not make it an event. It is not adequate. They had a crummy website. In other words, they tried to get by on the cheap. Obviously, they didn't have the funds, hence its demise. Still, if you don't have the resources, don't take on such endeavors. I would love to have Davecon or Vailcon, but I know such fancies would be disastrous and would never seriously undertake them. Well, I'll get off my soap box now. I wish them well, but I don't see it happening in March or ever. I don't particularly like bacon. I never really have. It seems every place that sells every imaginable type of food suddenly wants to put bacon on it--be it pizza, salad, hamburgers or milkshakes. Yes, milkshakes. Now I really care if people want bacon in their milkshake, I just wish they'd leave me alone and stop trying to put bacon on my food. Various political causes have been trying to get me to volunteer for them. I used to volunteer for stuff, then I came to the conclusion that volunteering is a complete waste of my time. The world is not going to be a better place because I gave up a few free hours of my time. It will be exactly the same. Logically, therefore, I've concluded there is no point in my volunteering. Every year around the start of football season I post this story. Otis Claverson didn't look too good when the trainers carried him off the field. His eyes were glazed over and his usually smiling face had been replaced by one filled with searing pain. “Seventy-three,” someone kept yelling. That number seemed familiar. Lizard Murphy glanced down at his jersey. He was number 73. He looked at Elmo Bruno, defensive coordinator for the Fighting Irish. “Lizard in,” the crusty man with the thinning crewcut ordered. Lizard put on his helmet and trotted onto the field. The last game of the regular season, a bowl bid and a national championship were on the line and Lizard had never played for a single minute during the entire season. He lined up at the right middle linebacker spot, replacing the injured Otis Claverson, who was in for only two plays for the starting linebacker. My new horror anthology has only been on the market for a few days, so I was surprised that companies are offering used copies of it already. And they're asking over forty dollars for a $13 book. Why would somebody buy a book that's so ridiculously overpriced when it's readily available for a third of their asking price--brand new? I can't believe these places actually ever sell anything. I found a nickel in the parking lot where I work. Big deal, right? Well, I simply never find money at this place--not ever. In the past year, including the nickel I just found, I've found a total of five cents. Heck, I used to work at a hotel where I found a good five dollars a month--that's around sixty bucks a year. Now I get a nickel. Even though people carry less cash than they once did, I still cannot account for the fact I no longer seem to be able to find money. Surely people must still have coins fall out of their trousers or simply drop them. Perhaps not. I live in a condo complex. 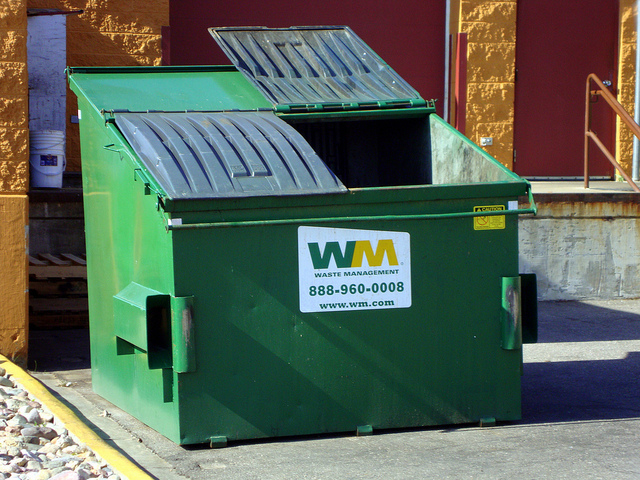 It's impossible to get a lot of our residents to bother to do things like latching shut the trash dumpster. It would appear the local bear has taken advantage of that, as I managed to find a large pile of bear poop right in front of the dumpster I use. Bears seem to really love garbage.